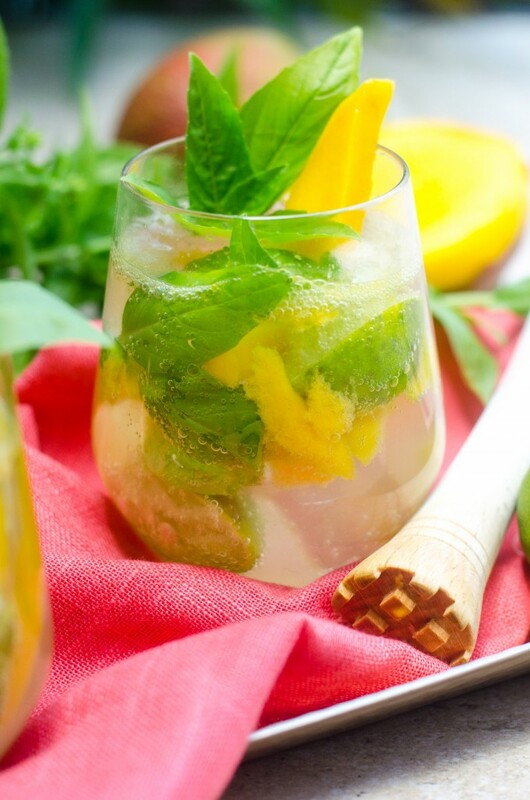 This is the best mango mojito recipe! 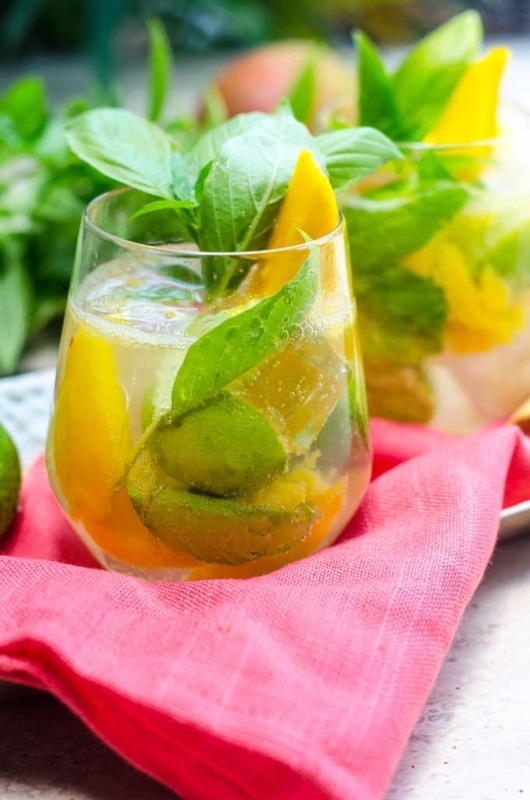 With ingredients like mango, basil, lime and rum, this fresh mango mojito recipe is the perfect summer cocktail! I can’t believe that summer is almost over. Normally the end of summer is just kind of “whatever” for us. In the past, it hasn’t really meant much in our lives- Dave still goes to work, I’m still cooking and writing, and Jonathan is still running around being Jonathan. But this year? Well, this year is different. Its hard to tell your 3 year old that he doesn’t have any friends anymore. Hell, it’s hard for me as a 31- year-old mother to know that- when his good friends moved away over the course of the last year, so did mine. Clearly he is at a point where his need to be around children his own age is bubbling up to the surface, so I found a good preschool that he’ll go to 3 mornings a week. Its a big cluster of emotions for me, because on one hand, I am so excited for him to explore and learn and play with other kids. But at the same time, I’m not ready to admit that he’s not my baby anymore- he’s my big boy, and he’s leaving me for the first time. The first year of his life, it was me leaving him to go to work, but we have been joined at the hip ever since we moved. Now it’s him leaving me. Dave doesn’t much care about having good friends here- he works too much for friends. However, he is also around like-minded people all day that he can have meaningful, intelligent, thoughtful conversations with- my conversations with the supermarket check out girls are getting longer, which Dave says might be the most depressing thing he’s ever heard. You don’t need much to make this delicious cocktail! All you really need is a nice muddler like this one, and a highball glass to serve it in! In the bottom of a pint glass or highball glass, muddle together the 3 of the mango slices, basil, key limes and simple syrup. Fill the glass with ice and pour in rum. Top off with club soda and stir to combine.